From the Star Wars The Last Jedi collection by Hasbro. 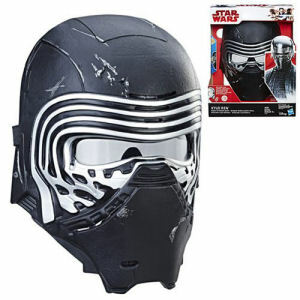 Star Wars The Last Jedi Kylo Ren Electronic Mask. From the Star Wars The Last Jedi collection by Hasbro. Star Wars The Last Jedi Kylo Ren Electronic Mask. Sound just like Kylo Ren. Ages 5 and up.